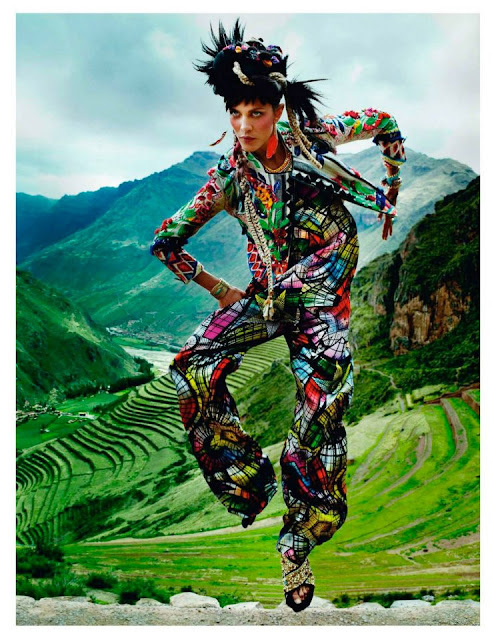 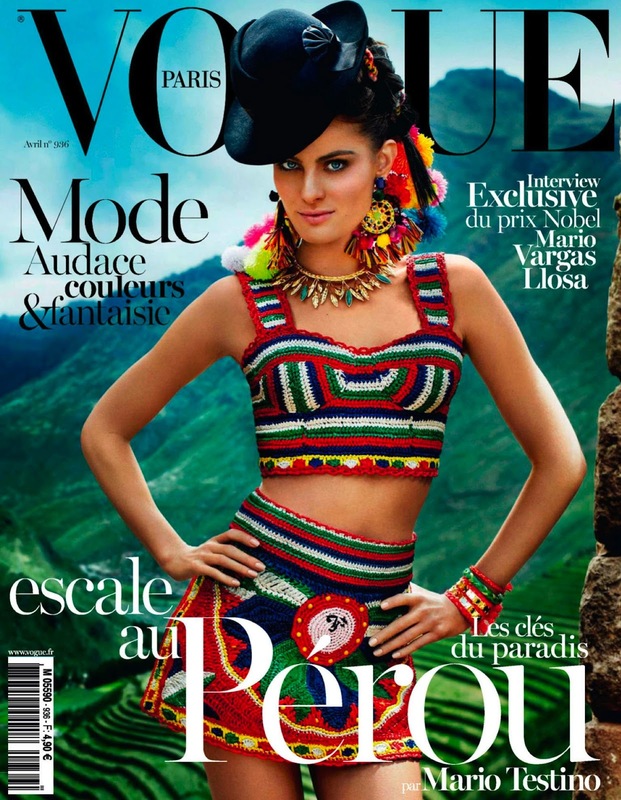 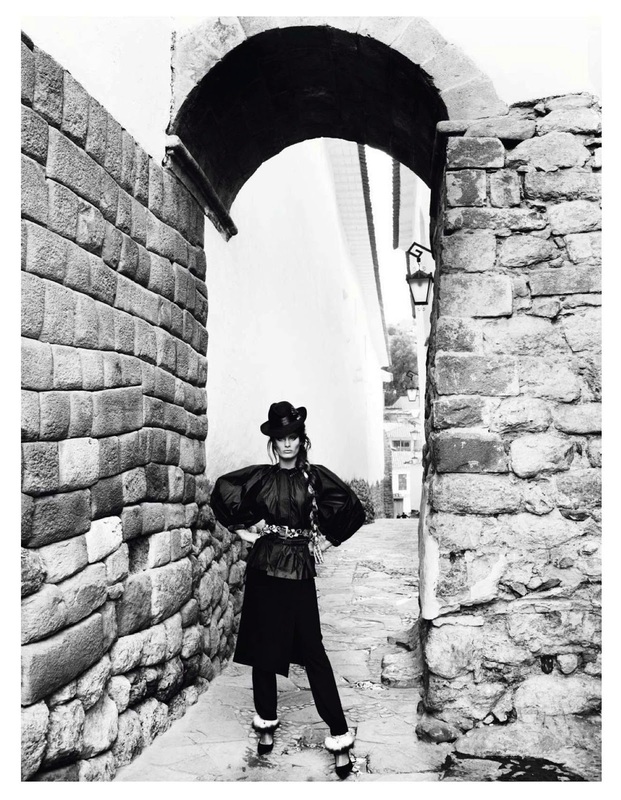 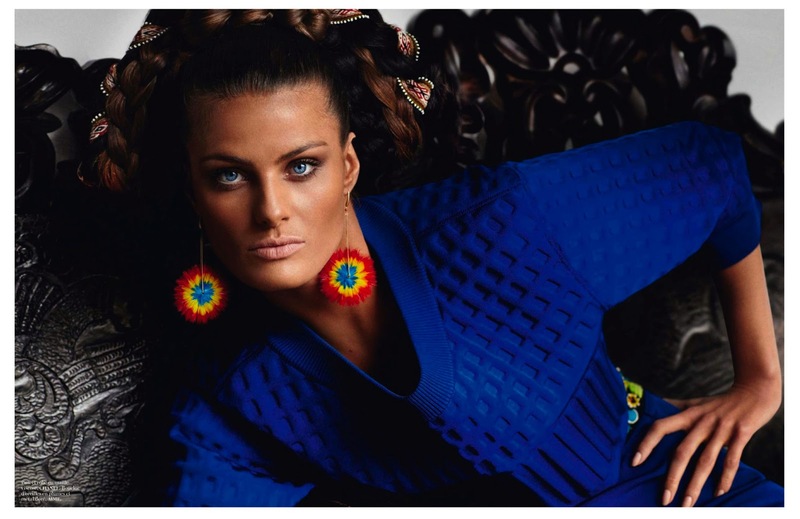 Paris Vogue and Mario Testino head to the photographer's native Peru for the publication's April 2013 issue. Editor-in-chief Emmanuelle Alt dedicates the entire issue to an exploration of the enchanting contrasts and cultural richness of Peru, stating in the editor's letter "Peru gives you vertigo. Between the heights of Huascaran, and the beaches of Lima, there is a difference of 7000m. For this issue we made the jump with Mario Testino." 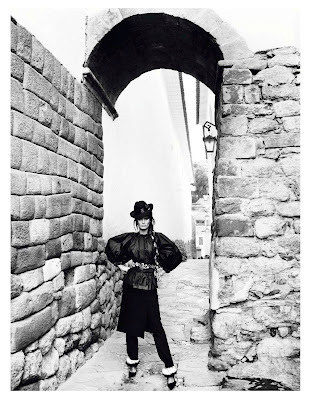 Top models Isabeli Fontana and Aymeline Valade scale the mountain heights taking in the breathtaking panoramic views of Cuzco in Chanel, Céline, Louis Vuitton, Gareth Pugh, and Ralph Lauren. 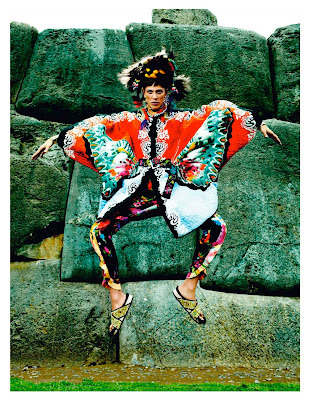 Valade and Fontana leap, bound, and frolic amongst the locals and lamas, in between respites at the stunning Inca temples. 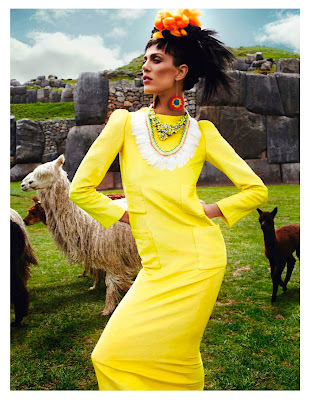 The models don spectacular headdress, accessories, and designer ensembles intermixed with locally woven fabrics, beribboned hats, and, and fine embroidery in the most vibrant hues for which Peru is renowned.